As the sun is shining and summer is on it's way, it's time to whip out your gorgeous spring/summer scents (if you haven't done so already!). L'Occitane En Provence have recently lauched La Collection de Grasse which consists of four beautiful fragrances; Jasmine & Bergamote, Magnolia & Mure, Vanille & Narcisse and finally Thé Vert & Bigarade. They all great ingredients don't they? The collection was inspired by renowned perfumer Karin Dubreuil and is reminiscent of her childhood in Grasse. It is a small village in the south of France that is known for it's scenery and fragrances. 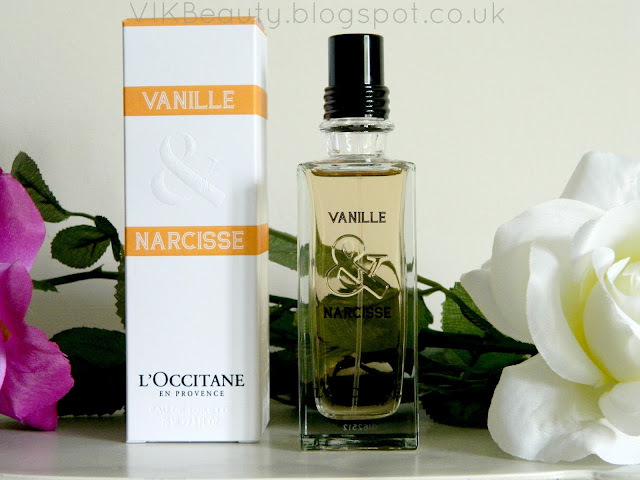 Today, I will be reviewing the Vanille & Narcisse (*) fragrance. To be honest, I had a hard time deciding which fragrance I liked the most. I was torn between Jasmine & Bergamote and this fragrance as a lot of fragrances I have, contain jasmine. I think it's an elegant and mature scent. However, I chose Vanille & Narcisse as I wanted to try something new. As the name suggests, Vanille & Narcisse contains vanilla absolutes from Madagascar and narcissus from the south of France. It's a lovely warm fragrance which I like as it isn't overpowering at all. The vanilla is the first scent I picked up and then the warm narcissus comes through later. It also has a hint of spice to it which you can appreciate after the fragrance settles. The fragrance is described as "warm" and "intoxicating". I agree, I feel like daydreaming whenever I have it on. I've been using it for the past few days and a few friends complimented me and asked about it. One has already bought it. The collection is definitely worth trying out next time you are at the L'Occitane shop. I think there is a fragrance to suit everyone. The fragrances retails at £49 for 75ml. You can pick it up in store or online. Click here. 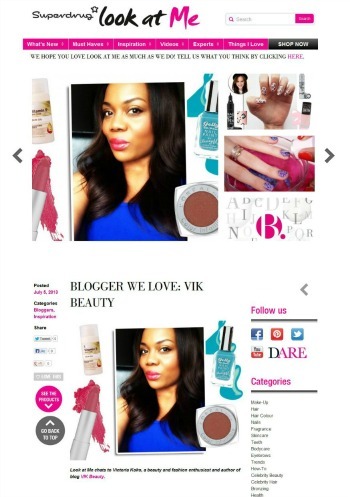 ***Don't forget you can follow me on twitter, instagram, facebook and bloglovin. 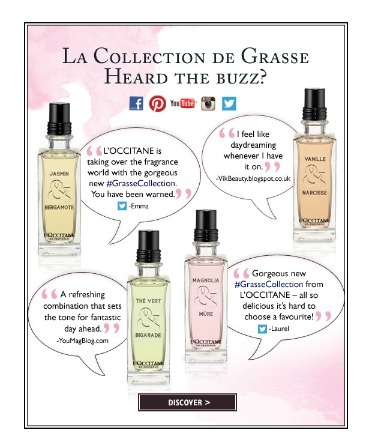 Really want to try some of these fragrances! I'm hearing so much about them! Lovely post! Is it only sold as an EDT? Sounds lovely. Will have to give it a go as I am running out of fragrances. Style Post: I Think I May Be Green With Envy!